Start of a new year by the mercy and grace of our God and Saviuor Jesus Christ. Praise God from whom all blessings come, may we never forget His many benefits and at all times give thanks, for all we have received has come from Him and all we are is what He has brought us to be. May we offer Him a sacrifice of praise and our praise should be the fruit of our lips, to declare His name as great among the nations. By the grace of GOD, to be the sweet savor of Christ to the living and a sweet savor of Christ to those that are perishing. New Years Eve i joined some brethren and we preached in downtown Raleigh, N.C. There was much background noise with all the revelry downtown but the local police enforced their policy which prevents sound amplification with no regard to decibel level. 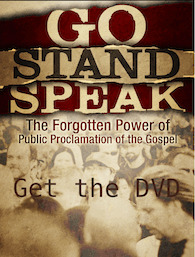 Yet we lifted our voice to proclaim the Gospel. Some would say to raise your voice is yelling, but are opposed to amplification which even most pastors use inside the walls of their church so that while speaking in normal tones they sre easily heard without being accused of being loud. Pray for our local police whose job involves enforcing ordinances which promote darkness while opposed to the light of the Gospel. For many cities permit public drinking and bar music, outdoor bands with huge amplifiers, tolerate public intoxication, profanity, and indecent exposure, while they prohibit amplified preaching of the Gospel. What will it profit the rulers of a city to gain finances while darkness has its day. Those that sow to the flesh will reap destruction. January 3rd thru 24th i was in Jamaica with some believers to preach Christ and Christ crucified. With a group that numbered from 3 to 14 as some arrived and departed we preached and handed out 60,000 tracts, and many bibles in Montego Bay, Ocho Rios, Kingston, and Little London. We were also there to encourage some believers. A young man name Jude, Pastor Desmond, and one of the Christian guards at our lodging, Rio. We were also again able to visit the local infirmary for the homeless severely disabled. Jamaica is open to street preachers. The local police are tolerant of amplfied preaching and the tourist police, constables, are ever kind and helpful. As for the preaching, there are no questions of dinosaurs, evolution, homosexuality, abortion, or of who wrote the Bible. But the Jamaicans are a religious bunch. most professing their own self righteousness, and trusting in their baptism, church membership, sabbath keeping, good deeds, and the like. Few in Jamaica have come to the knowledge that Christ is our righteousness and apart from Him no one will be saved by works of righteousness. There are more churches per capita in Jamaica than any other country, and it would appear that every cult found in America sends their evangelists there. The seventh day adventists are most numerous. They are a proud sect who prefer the teaching of a false prophet named Ellen G. White over the teaching of scripture. Everything they teach and learn has been filtered through her doctrine. How sad to spend your life submitting to a word that is contrary to the Word of God. The Book of Hebrews reads ” How shall we escape if we neglect so great salvation which was first spoken by our Lord. Is GOD’s word not enough. His words are the words of eternal life, not the teaching of Calvin, White, Luther, Russell, Smith, or even mine or yours. GOD said ” This is MY Son, listen ye to Him”. The irony of life in Jamaica is the respect they grant to the Rasta men, who corrupt the morals of their youth and like hypocrites protest racism while being racists themselves. Their false religion directs them to search the Bible scriptures while they deny the truth that Jesus Christ is GOD. In their racists beliefs they declare Him a white man’s god, while they esteem a man named Haille Saliasse who has been dead for more than 50 years, declared rightly that he was not a god and made a profession of faith in Christ. Either he was honest ( not a god ), or he was a liar ( not a god ). The irony is that the man who is remembered as a hero in Jamaica is Sam Sharpe, a black slave who was also a lay Baptist preacher. A Christian who confessed Jesus Christ is GOD, believed the Bible was truth, worshipped on Sunday, and gave his life preaching not only the Gospel, but preaching against slavery. GOD used Sam Sharpe, and his ministry was instrumental in bringing an end to slavery in 1832. How shameful that after the slaves were freed in Jamaica, slavery continued in America until the civil war. So Jamaica like America will call evil good and good evil. They will esteem the Rasta man while their very own statues and history books display Sam Sharp as a Bible believing Christian. Not unlike America where we esteem football coaches, recording artists, the rich, and the famous. Upon leaving Jamaica i stayed with a friend and fellow believer, John Baros and his family in Orlando Fla.. John is in full time ministry spending his time preaching and counseling at OWC, an abortion clinic in Orlando and at the nearby prison, GOD’s hand is with John’s ministry as evidenced by the fruit that GOD has provided. i have seen with my own eyes women turn from their thoughts of abortion and leave the clinic after talking to John. Oh that GOD would bring that response to all places of this sort. John would be the first to profess it is all of GOD. The flesh can not account for it. i have been outside to counsel at numerous abortion mills and never have i seen the same response. Prayer, active faith in GOD, and an active group that keep him in prayer, and a kind and merciful GOD are responsible. i hope to speak of John in a later post for it is good to declare the works of the LORD. Pastor Larry preaches near Sam Sharpe Square in Montego Bay Jamaica. Welcome guests, I welcome you here, and and if you are wondering if you, me, and all are sinners please leave a comment! Can you handle the truth ? Good Person Test, What about you?